Worcester is the market leader in domestic heating and hot water systems. It’s a name that stands for reliability, quality, efficiency and value for money. Worcester Greenstar condensing boilers are highly efficient, offering significant savings on fuel bills and the environment. Householders who have had their existing boiler for more than 10 years and receive high gas and oil bills, could save up to £225* a year by upgrading to a condensing boiler. Older boilers can be as little as 60% efficient. Every Worcester Greenstar boiler is designed to be highly efficient - they turn more of the fuel they use into heat and hot water for your home. For further peace of mind, every boiler in Worcester’s Greenstar gas and LPG condensing boiler range has been awarded a Which? Best Buy accreditation. The Greenstar 12/15Ri are 90.1% efficient and is in the highest possible efficiency category, SAP 2005 seasonal efficiency rating. With more than 1 million Greenstar i Juniors already installed, the award-winning boiler series is already well-established in the UK. Compact in size and with domestic hot water outputs of up to 28kW, the Greenstar i Junior is ideal for apartments and small to medium-sized properties with one bathroom. For further peace of mind, the Greenstar i Junior has been awarded a Which? Best Buy accreditation for the second year running and has undergone a series of enhancements including the addition of a domestic hot water control to the boiler fascia. 10 year guarantee on primary heat exchanger and 5 year guarantee on the plate heat exchanger. Domestic hot water flow rate: 11.4 litres per minute at 35 degree temperature rise (provided adequate mains pressure is available). Designed operational flow rate 10.0 litres per minutes at 40 degree temperature rise. The Greenstar 24/28i Junior is 90.1% efficient and is in the highest possible efficiency category, SAP 2005 seasonal efficiency rating. 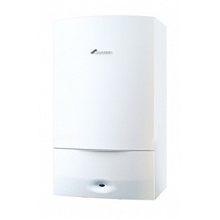 Greenstar CDi Classic gas combi boilers are our top of the range boilers and have the ability to condense in both heating and hot water modes. The new and improved range now achieves a higher domestic hot water output, with the 27kW, 30kW and 37kW variants now offering 29kW, 34kW and 38kW respectively. In addition, with customers continually looking at ways to reduce their energy consumption, we have now reduced the standby electrical output by more than 60% down to just 3.5W. This enables your customers to benefit from a more energy efficient source of heating and hot water, whilst reducing energy bills. Worcester has also introduced a new magnetic catch for easier opening and closing. This intuitive design ensures greater security, which is particularly important when your customer wishes to alter their hot water and central heating requirements. 10 year guarantee on primary heat exchanger. Domestic hot water flow rate: 12.3 litres per minute at 35 degree temperature rise (provided adequate mains pressure is available). Designed operational flow rate 11 litres per minutes at 40 degree temperature rise. The Greenstar 29CDi Classic is 90.1% efficient and is in the highest possible efficiency category, SAP 2005 seasonal efficiency rating. 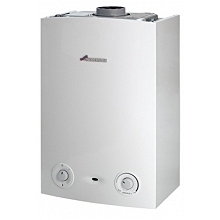 The Greenstar 30CDi Classic System boiler is our top performing system boiler. It’s suited to bigger properties with a larger heating requirement. The boiler is compatible with a wide range of optional controls, offering you superb flexibility with your heating and hot water times and temperatures. The Greenstar 30CDi Classic is 90.1% efficient and is in the highest possible efficiency category, SAP 2005 seasonal efficiency rating. The Greenstar Si combi boilers are our mid-range appliances. They’re suitable for apartments and small to medium sized 1 bathroom properties. You can control both the hot water and central heating temperatures on a Greenstar Si boiler. There is also a range of optional controls available, offering you further comfort and flexibility. Designed operational flow rate 10.7 litres per minutes at 40 degree temperature rise. The Greenstar 30Si is 90.1% efficient and is in the highest possible efficiency category, SAP 2005 seasonal efficiency rating. 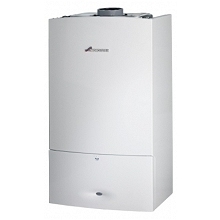 Greenstar CDi Classic gas combi boilers are our top of the range boilers. They offer the widest choice of features within our gas boiler range, including the ability to control both the hot water and central heating temperatures, providing the ultimate in performance, economy and user convenience. Greenstar CDi Classic combi boilers are unique in that they condense in both heating and hot water modes, resulting in greater efficiency and fuel savings. Domestic hot water flow rate: 14.3 litres per minute at 35 degree temperature rise (provided adequate mains pressure is available). Designed operational flow rate 12 litres per minutes at 40 degree temperature rise. The Greenstar 34CDi Classic is 90.1% efficient and is in the highest possible efficiency category, SAP 2005 seasonal efficiency rating. Worcester has also introduced a new magnetic catch for easier opening and closing. This intuitive design ensures greater security, which is particularly important when your customer wishes to alter their hot water and central heating requirements. The higher outputs of Greenstar CDi Classic boilers can be suitable for larger properties with more than one bathroom. If you’re looking for light commercial outputs, Worcester also specialise in boilers with the ability to cascade up to 800kW. Designed operational flow rate 14 litres per minutes at 40 degree temperature rise. The Greenstar 38CDi Classic is 90.2% efficient and is in the highest possible efficiency category, SAP 2005 seasonal efficiency rating. The higher outputs of Greenstar CDi boilers can be suitable for larger properties with more than one bathroom. Designed operational flow rate 15 litres per minutes at 40 degree temperature rise. The Greenstar 42CDi Classic is 90.2% efficient and is in the highest possible efficiency category, SAP 2005 seasonal efficiency rating.